We'll get to hear more about it in June (from a gameinformer cover story), and we'll see a teaser trailer for it tomorrow! 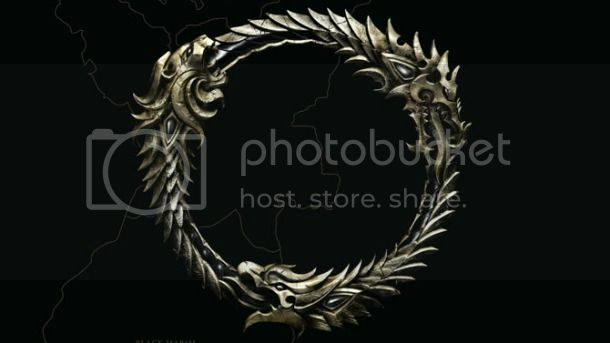 You can read more here, and gameinformer is making a whole section for it on their site called: "Elder Scrolls Online hub," so be sure to check that out periodically for new information! I'm a huge mmo fan and having the chance to take part in something like this will be fantastic, I'm gettign guild wars 2 2morrow and still looking for those to play with aswell. I have a feeling this is gonna be sick as soon as it comes out all my friends are getting this game. Im just worried that this'll end up like so many crappy free to play versions of games. hopefully this one will be good. Very interesting. I guess that some kind of cash factor will get involved. I dont know what Bethesda will do. But I am truely interested and will probably try this. But what I want to know is if they're going to be using a new game engine? Will they or have they developed a new one already? I've always hoped for an Elder scrolls MMORPG ever since i played Morrowind for the first time. now I'm just afraid that they will add too much pvp only, and not enough RPG to the game. But I can't wait to see where this goes. they don't show much, if anything (which they didn't show anything in here really) and ... they're teasers! seriously, when this thing launches we should all live stream the first time we all experienced it!! !